You can visit any vision provider, and will almost always pay less out-of-pocket when visiting a VSP or EyeMed Access network provider. Use network providers for greatest savings. Choice between VSP® or EyeMed – 2 of the largest vision networks! Guaranteed issue. No age or regional pricing schedule. Coverage includes frames, lenses, contact lens, eye exams, and more. The largest network of independent doctors. EyeMed vision insurance network is accepted by more than 50,000 doctors nationwide. The largest network of independent doctors. VSP vision insurance is accepted by more than 50,000 doctors nationwide. Register at vsp.com. Once your annual plan is effective, review your benefit information. Find a VSP doctor who’s right for you. 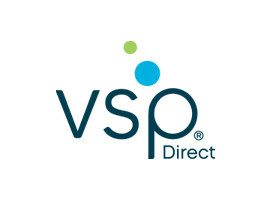 VSP Provider FinderUse the . Choose a Premier Program location to get the most out of your eye care experience. At your appointment, tell them you have VSP. There’s no ID card necessary. That’s it! VSP handles the rest—there are no claim forms to complete when you see a VSP doctor. Get an Extra $20 to spend when you choose a featured frame brand like bebe®, Calvin Klein, Cole Haan, Flexon®, Lacoste, Nike, Nine West and more! Visit vsp.com to find a VSP doctor who carries these brands and to see all of your Exclusive Member Extras. Progressive Lenses Up to provider's contracted fee for lined bifocal lenses. The member is responsible for the difference between the base lens and the Progressive Lens charge. LASIK & PRK: see "ADDITIONAL NETWORK FEATURES"
Contact Lens Elective Allowance includes fitting, exam, and lenses. The cost of the fitting and evaluation is deducted from the cost of the contact lens allowance. Allowance can be applied to disposables, but the dollar amount must be used all at once (3 - 6 month supply). Applies when contacts are chosen in lieu of glasses. Additional Glasses 20% off the retail price on additional pairs of prescription glasses (complete pair). Frame Discount 20% off the remaining balance in excess of the frame allowance. Laser Vision Care An average discount of 15% on LASIK and PRK. the maximum out of pocket per eye for members is $1800 for LASIK and $2300 for custom LASIK using WaveFront technology; and $1500 for PRK. In order to receive the benefit a network provider must coordinate the procedure. Low Vision With prior authorization, 75% of approved amount (up to $1000 is covered every two years). Monthly recurring premium rates are as indicated above. Coverage for enrollment between the 1st - 25th is effective on the first of the following month. Enrollment between the 26th - month end, is effective on the first of the next month. Your first payment will be collected from your credit/debit card upon enrollment. Future payments will be collected on the 25th of each month thereafter, after your effective date. Deductibles - $10 exams | $25 eye glass lenses or frames*. Does My Vision Plan have any waiting periods? There are NO WAITING PERIODS! All benefits begin on your effective date. When will my policy be effective? Your effective date is the 1st of the following month, when you enroll in the dental plan between the 1st and 25th of the current month. Enrollment between 26th and the end of the current month, will make your effective date the 1st of the next month thereafter. EX: Enroll January 1st - 25th : Effective Date February 1st. Enroll January 26th - 31st : Effective Date March 1st. The insurance coverage is available in states where it's approved to anyone age 18 and older. You can request coverage for your dependents; dependent eligibility varies based on state law. Can I purchase a vision plan if my employer or health plan does not provide one? Yes, anyone can take advantage of the Preferred Vision Plan. Your rates are guaranteed for 12 months following your plan's effective date. After that, you will receive at least 30 days' notice (more if required by state law) if your rates change. Do I have coverage outside of the state I live in? Yes, if you are traveling or have a covered dependent living in a different state, you will still have coverage. You or your doctor may submit completed claim forms along with any requested information to the address provided on your member id card. Doctors and eye care clinics may submit claims electronically to the contact information provided on your member id card. You may also contact us directly for assistance. What if I want to cancel the policy? Attn: Dental & Vision Dept. OR by calling 800-979-8266. All Cancellation requests will be effective on the next billing period. You can receive a full refund of the premium paid anytime within the first thirty days of your enrollment date, provided that no insurance claims of any kind have been submitted. Member ID cards are generally shipped within 2-3 business days after your enrollment has been processed. Actual receipt of your id cards may vary, as all id cards are sent via USPS first class mail. Replacement id cards may be requested by contacting member services at 1-800-979-8266.